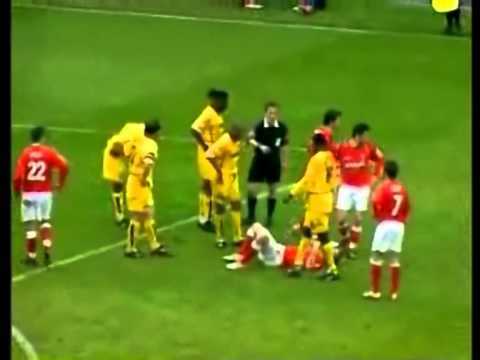 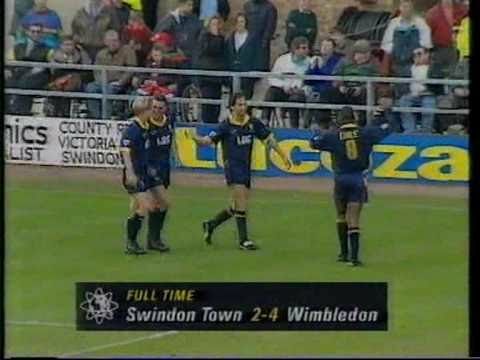 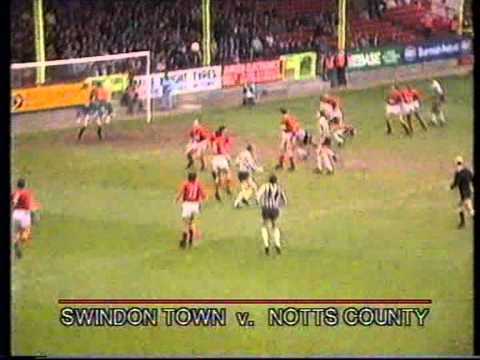 The Crazy Gang visit the County Ground knowing that a victory will seal Swindon's inevitable relegation from the Premiership - and they duly oblige, winning 4-2 helped by some comical Town defending. 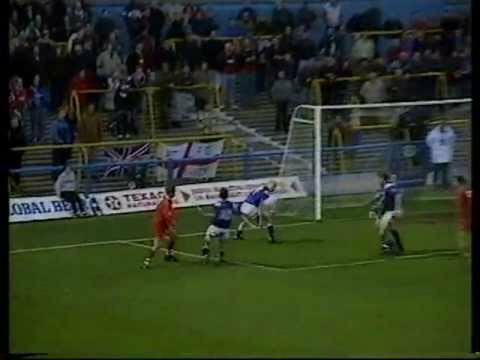 After taking the lead on 26 minutes through Steve Cowe, Chesterfield equalise just four minutes later - their celebrations are short-lived though, as Peter Thorne scores almost directly after the restart. 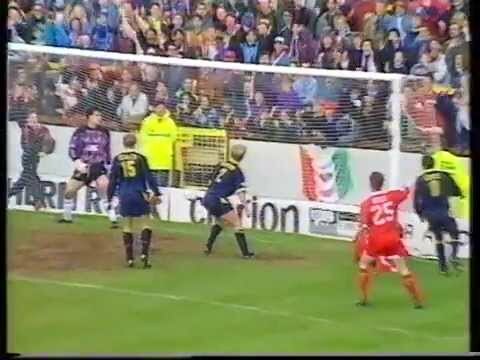 After a superb free-kick gives Tranmere the lead, Grant Smith repeats the feat for the Town, then he nets again two minutes later for a 2-1 victory. 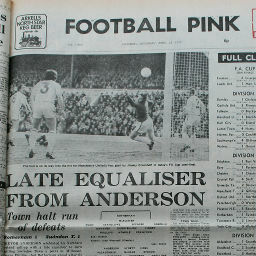 The Town's relegation from the Premiership is confirmed, after a 4-2 home defeat at the hands of Wimbledon. 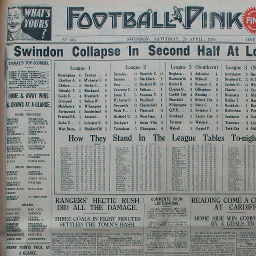 Click to view a newspaper report of Swindon's 1-4 defeat against Cardiff City in the 1931-1932 season. 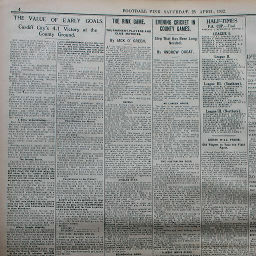 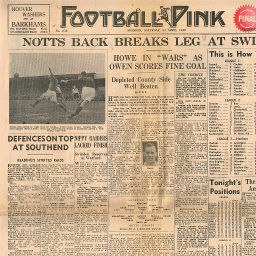 Click to view a newspaper report of Swindon's 0-3 defeat at Queens Park Rangers in the 1937-1938 season. 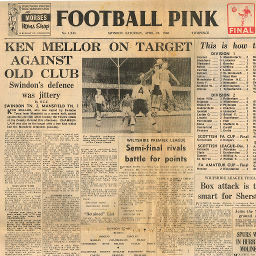 Click to view a newspaper report of Swindon's 0-1 defeat at Millwall in the 1954-1955 season. 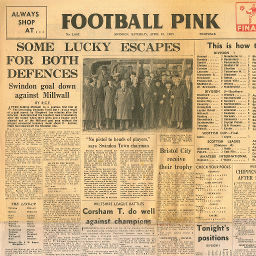 Click to view a newspaper report of Swindon's 2-1 win against Mansfield Town in the 1959-1960 season. 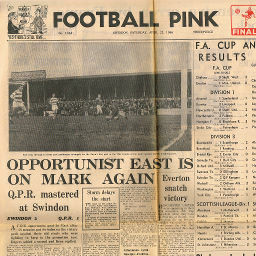 Click to view a newspaper report of Swindon's 2-1 win against Queens Park Rangers in the 1965-1966 season.